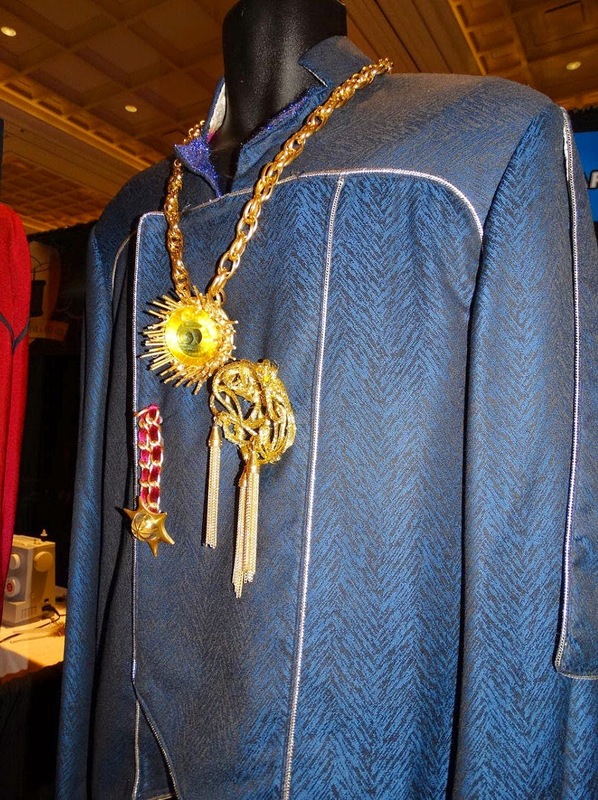 Star Trek Prop, Costume & Auction Authority: Star Trek Original Series Garth of Izar Costume from "Whom Gods Destroy"
Star Trek Original Series Garth of Izar Costume from "Whom Gods Destroy"
Presented below are some detailed photos of the dark blue tunic and pants worn by actor Steve Ihnat in his role as Garth of Izar in the very memorable 3rd season TOS episode "Whom Gods Destroy" (first airdate: Jan. 3, 1969). 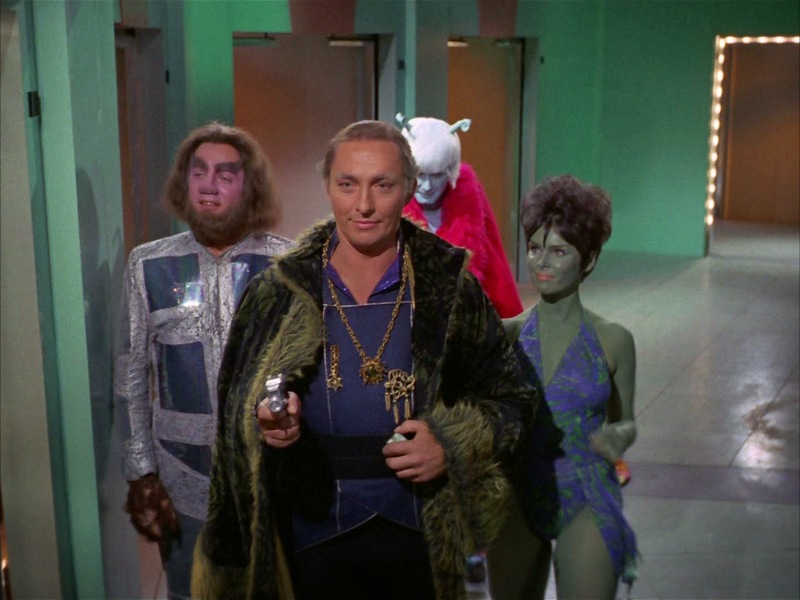 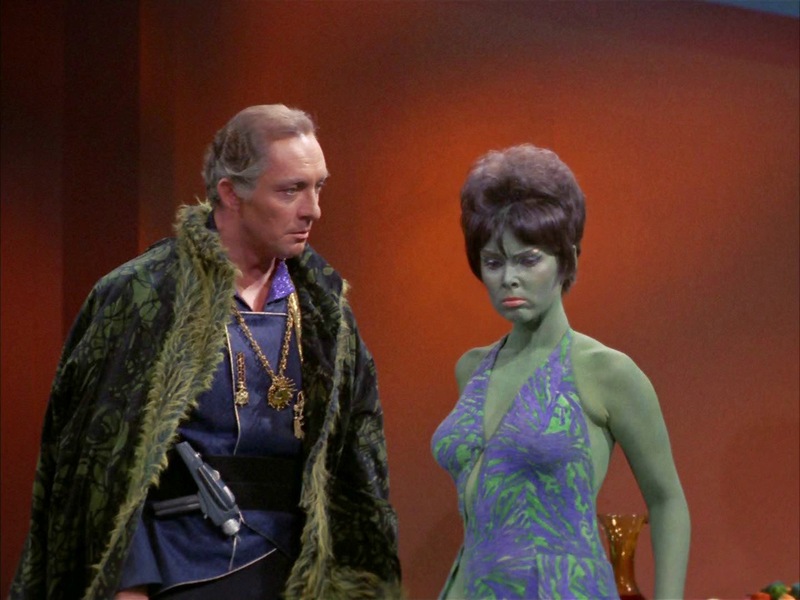 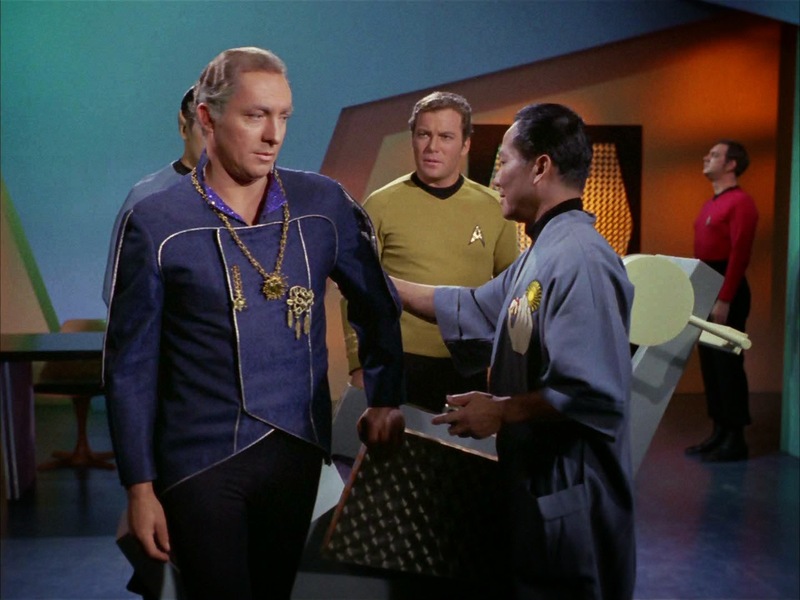 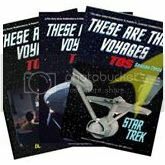 It is revealed at the beginning of the episode that Garth was a legendary Fleet Captain whose exploits were required reading at Starfleet Academy, and that he had just been sent to the Elba II penal colony for treatment of insanity. 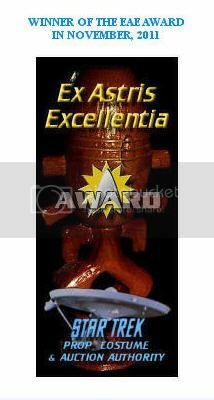 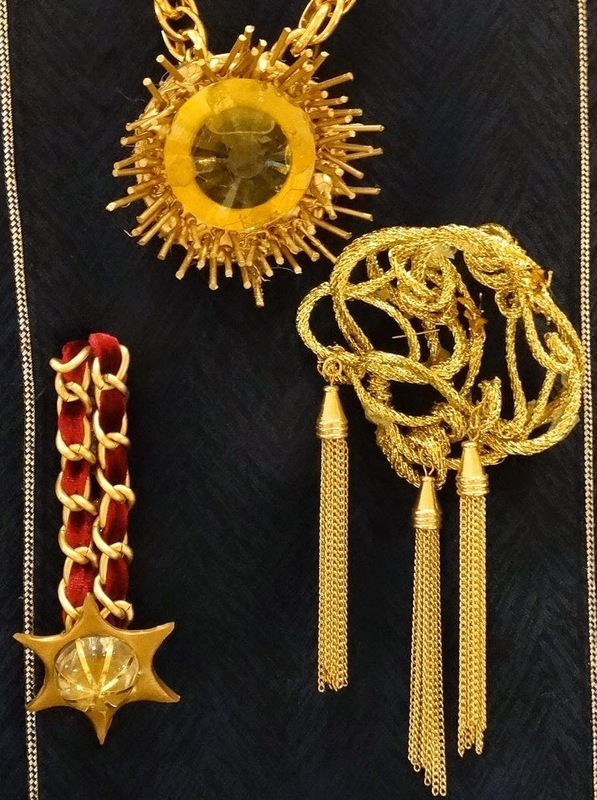 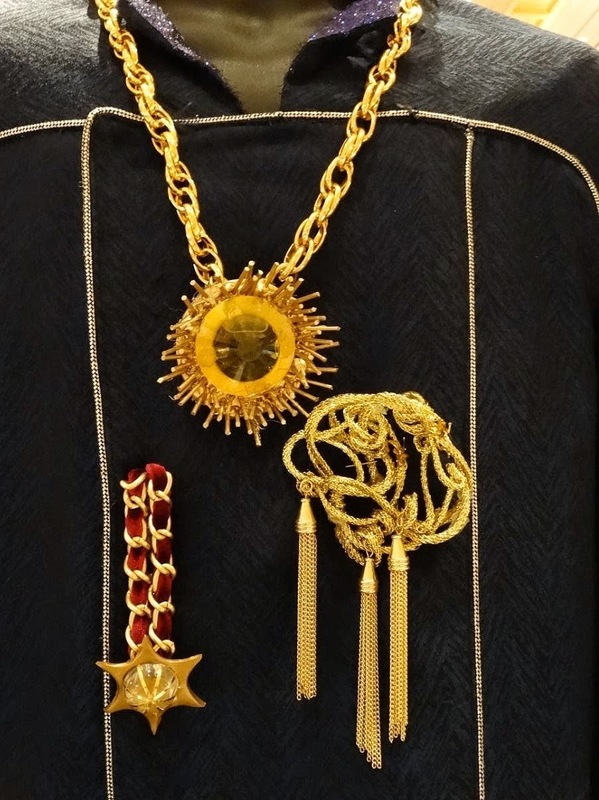 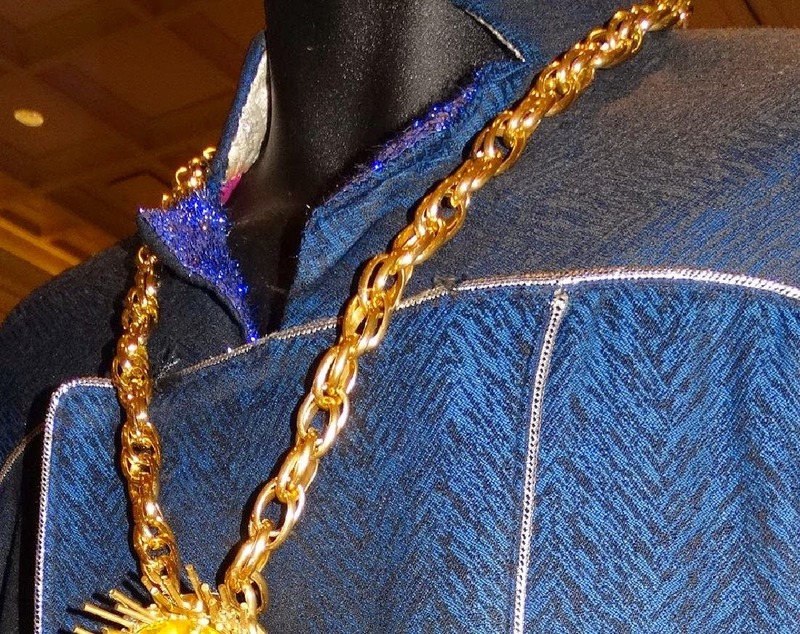 It is noted that the awards and decorations displayed on this screen used costume are replica pieces to complete its overall appearance. 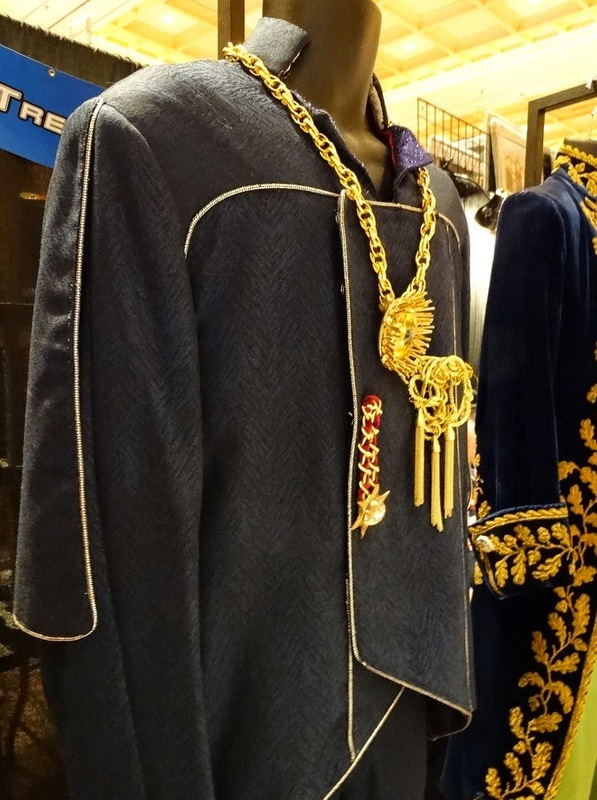 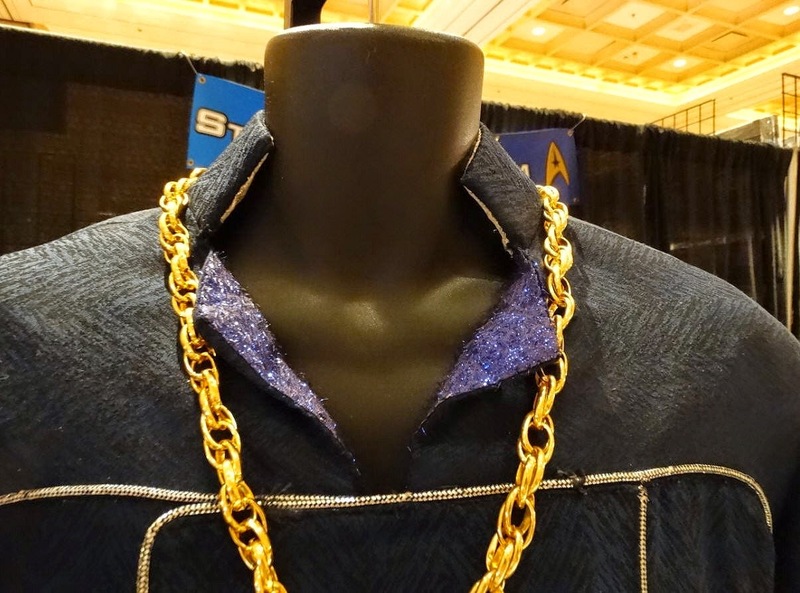 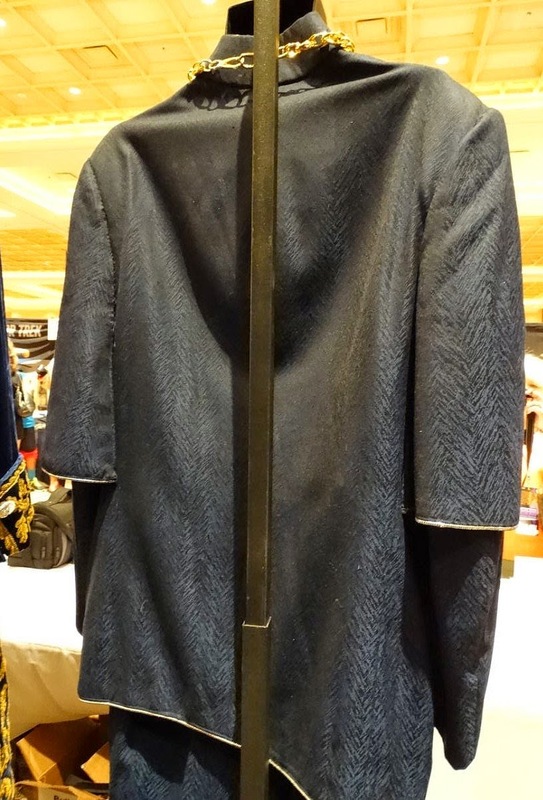 This Garth of Izar costume was part of an impressive multiple costume exhibit which was on display in the Vendors Room at the recent Creation Official 2014 Star Trek Las Vegas Convention that took place from July 30th to August 2nd in Nevada. 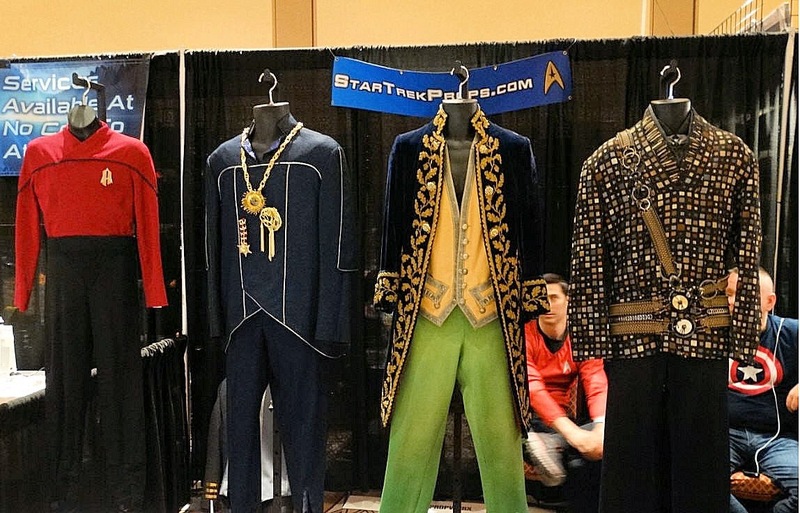 Congratulations are in order to my friend and long time, major American Star Trek collector Alec Peters, CEO of Propworx, for organizing the exhibit and presenting rare screen used items from his personal memorabilia collection for the benefit of all fans attending the Las Vegas event. 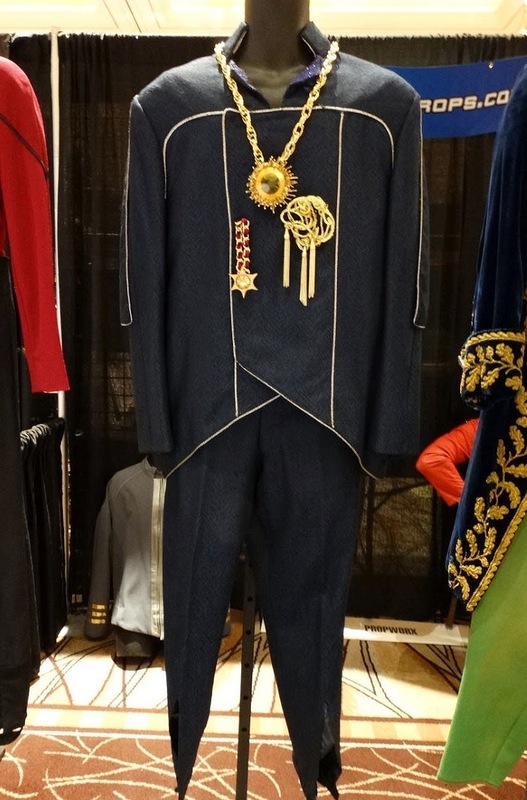 Special thanks to Alec for his kind permission in allowing these photos to be taken of the costume at all angles for publication on this site!